CHAUVET® DJ introduces CHAUVET® DJ Academy — an interactive and informative online video program dedicated to helping mobile entertainers worldwide build their skills and improve their business. CHAUVET® DJ Academy, hosted by Geoff Short, covers a wide range of topics such as lighting, sales, marketing, business tips and a range of other subjects related to the mobile entertainment industry. There are a total of four levels within the program: Beginner, Intermediate, Advanced and Expert. Each level includes a total of five instructional videos. At the end of each video, you will need to complete and pass a five-question quiz in order to continue on to the next video. Once you complete and pass all five quizzes, you have passed that level and will be rewarded — handsomely. Upon level completion, participants will receive exclusive CHAUVET DJ swag and rewards. The further you go, the bigger the payoff. 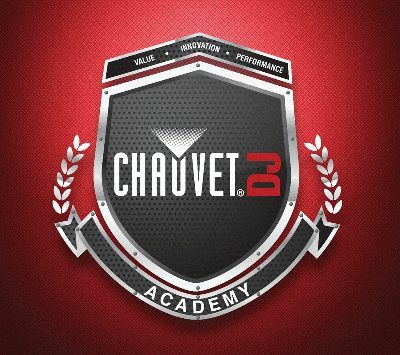 To get started, simply register as a CHAUVET DJ Academy member and start learning today. Classes are now in session!